We are located 5 minutes west of Red Deer College on 135 acres along the beautiful Red Deer river, offering field, paddock and indoor boarding. The facility was established in 1995 and has cross country courses up to preliminary level, indoor and outdoor sand ring, exercise track and a grass ring for show jumping. We host several horse trials, clinics, camps and a schooling show through the summer months. 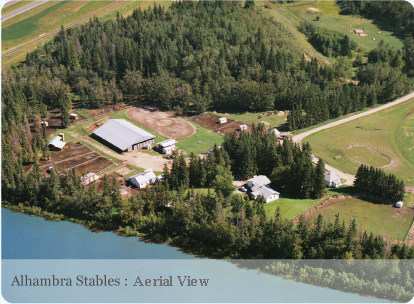 This is also the home of Red Deer Pony Club and Adult Riding Club. Devoucoux Alhambra Summer Event, August 17-19, 2018! Check your entry status on StartBox!